These days, the differences in specs when comparing rival smartphones aren’t massive. That’s why companies are trying to differentiate their handsets from the competition with software. Most of them apply a skin on top of Android (HTC Sense, Samsung One UI, and more) that add a few new features and changes the look and feel of the OS to make it unique. However, these skins can often be heavy and come pre-installed with loads of apps you’ll likely never use. 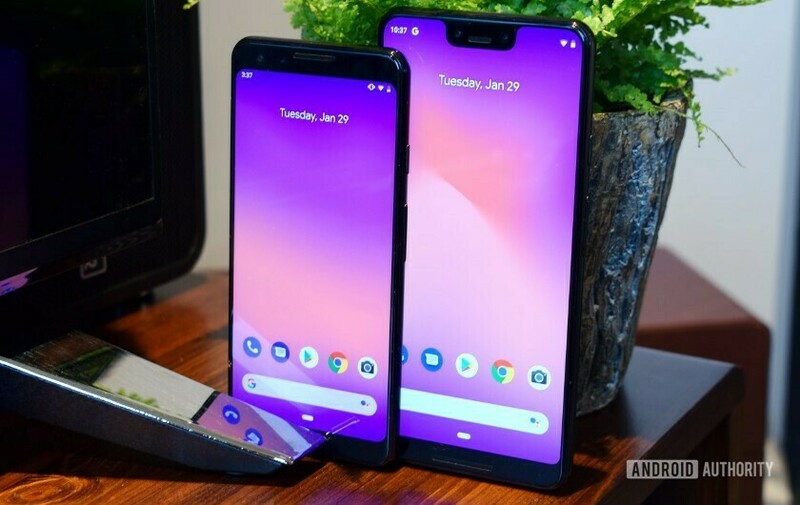 That’s why there’s increasing demand for smartphones with stock Android, which is the basic version of the OS that was developed by Google and hasn’t been modified by a manufacturer. In addition to being bloatware-free, the biggest advantage of smartphones with stock Android is that they are among the first to get updated to the latest versions of the operating system. If you’re in the market for a stock Android smartphone, keep reading. You’ll find our breakdown of the best high-end, mid-range, and budget models below. Keep in mind that most of these are actually “very near stock” as they do have minor customizations, but they will still offer clean, bloat-free experiences that are close to Google’s true vision for Android running either Google’s Pixel-based Android build or Android One. The Pixel 3 and Pixel 3 XL are here and like all of Google’s previous Pixel phones, they are available directly from the company or via Verizon Wireless in the U.S. While they may not rival other major smartphones in specs, these phones improve on what made the Pixel 2 so great — the camera. They still sport the same single rear cameras as the Pixel 2, but there are a ton of camera software improvements here. Top Shot mode will take multiple pictures of your subject and recommend the best one. Night Sight will also arrive for the phones soon, which is supposed to bring next-level low-light photography thanks to computational photography. Finally, there’s a mode called Motion Auto Focus that lets the Pixel 3 focus on a subject in a video, no matter how much they move around. They both have 18:9 screens (well, 18.5:9 for the XL), but look very different. The Pixel 3 has a 5.5-inch Full HD+ screen, which makes it look like a smaller Pixel 2 XL. The Pixel 3 XL has a big ol’ notch at the top of its screen. Both phones also come with Qi wireless charging support, no headphone jack (womp womp), and still manage to squeeze in front-facing speakers. The Pixel 3 could be considered the Android iPhone, but what’s wrong with that? They are, by far, the best stock Android phones you can get. You can the standard Pixel 3 from Verizon starting at $799.99, or for $33.33 a month for 24 months. The Pixel 3 XL starts at $929.99 a month, or for $38.74 a month for 24 months. Without a doubt, the 9 PureView is the best Nokia phone ever made, and a great stock Android phone, with Android 9 Pie out of the box. It comes with five cameras at the back and sports a gorgeous design. It packs last year’s Snapdragon 845 chipset under the hood along with 6GB of RAM and is IP67 rated for protection against water and dust. Let’s talk about the cameras for a second, which were developed in partnership with Zeiss and Light. Two of the sensors capture full-color photos, while the other three are monochrome sensors that aid with depth, contrast, and exposure. Combined, they can capture spectacular images, although not every time — learn more here. The Nokia 9 is made of glass and metal, supports wireless charging, and comes with an in-display fingerprint scanner. Unfortunately, there’s no headphone jack on board. It’s already available in the U.S. for $700. You might be confused with the branding of this phone. The Nokia 8.1 is not in the same league as the older Nokia 8 or the Nokia 8 Sirocco. This is a mid-range stock Android phone, but it is admittedly the best such phone HMD Global has launched in this price range. The Nokia 8.1 has a 6.18-inch display with an 18.7:9 aspect ratio and a resolution of 2,246 x 1,080. Inside, it has a Qualcomm Snapdragon 710 processor, 4GB of RAM and 64GB of onboard storage. It has two rear cameras, a 12MP sensor with f/1.8 aperture and a 1.4 micron pixel size, and a 13MP depth sensor with Optical Image Stabilization (OIS). There’s also a 20MP front-facing selfie camera and a 3,500mAh battery. The Nokia 8.1 is one of a growing number of Android One smartphones, shipping with a stock version of Android 9.0 Pie out of the box. The Nokia 8.1 is available in a few regions including Europe and India, where it costs a little more than 400 euros (~$455) and 27,000 rupees. There’s no word on when or if it will make its way to the U.S. The Motorola One is an Android One phone, which means it offers a stock Android experience. It came with Android 8.0 Oreo installed but it received a recent over-the-air update to bring the phone up to Android 9 Pie. It has a 5.9-inch display with Qualcomm’s Snapdragon 625 processor inside. You also get 4GB of RAM, 64GB of expandable storage, two rear cameras (13MP main camera and a 2MP depth sensor), an 8MP selfie camera, and a 3,000mAh battery. It’s available unlocked at Amazon for $217. The newest Android One phones from Xiaomi are available and are excellent choices for stock Android phones in the budget range. The Mi A2 has a 6-inch Full HD+ LCD display with an 18:9 aspect ratio, and a Qualcomm Snapdragon 660 chipset inside. It comes in three versions; two with 4GB of RAM with either 32 or 64GB of storage; and one with 6GB of RAM with 128GB of storage. The phone also comes with 12MP and 20MP dual rear cameras and a 20MP front shooter, and a 3,000mAh battery. The Mi A2 Lite has a 5.84-inch Full HD+ LCD panel with a 19:9 aspect ratio, with a notch design. Inside there’s a Snapdragon 625 chipset. It comes with either 3GB of RAM and 32GB storage, or 4GB of RAM with 64GB storage. It also has a much bigger 4,000mAh battery, along with a 12MP and 5MPdual rear camera setup, a 5MP front shooter and, unfortunately, a microUSB port for charging. Amazon is selling the Xiaomi Mi A2 for $192 with 4GB of RAM and 64GB of storage. The Xiaomi Mi A2 Lite is available on Amazon for $177 with 4GB of RAM and 64GB of storage. The Motorola Moto X4 comes in more than one version, but the one we are considering is sold via Google’s Project Fi carrier. It’s an Android One phone, which means it has a stock Android experience. It had Android 7.0 Nougat out of the box at first, but was recently updated to Android 9 Pie. The phone itself has a 5.2-inch IPS display with 1,920 x 1,080 resolution, the Qualcomm Snapdragon 630 processor, 3GB of RAM, 32GB of expandable storage, dual rear 12MP and 8MP cameras, a 16MP front-facing camera, and a 3,000mAh battery. Best of all, you can get this phone for a limited time via Project Fi for just $149. These are the best phones with stock Android from high-end, mid-range, and budget categories — at least in our opinion. There are many others available out there beyond the ones we covered, so feel free to let us know which ones would you add to this list.